SWAN Plumbing, Heating & Air of Denver offers high-quality and reliable plumbing, heating, and cooling services throughout the Denver Tech Center area. We offer a Satisfaction Guarantee on all work performed by our licensed technicians, who have 40 years of combined experience in the industry. With SWAN, you can trust that the job will be done right the first time with upfront and affordable pricing. SWAN stands behind all work completed by our HVAC and plumbing technicians. 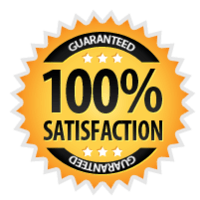 We proudly offer a 100% Satisfaction Guarantee on all plumbing and HVAC services performed for Denver Tech Center area customers. We also provide same-day services to be there when you need us with honest, upfront pricing. All pricing is done on a per-project basis so you will never need to worry about costly hourly billing. SWAN plumbers have the experience, knowledge, and tools to tackle any household plumbing issue, big or small. We stand behind all plumbing work performed with our 100% Satisfaction Guarantee. While water heaters are somewhat simple appliances, any issue like a failed heating element or a leak can quickly bring your attention to this often ignored appliance. If you have rust-colored water, hot water that runs out quickly, or no hot water at all, our water heater repair technicians will diagnose and fix the problem. If cost-effective repairs are not possible or your water heater has reached the end of its life, we can help you choose a new energy-efficient water heater to install in your home. Your sump pump is your last line of defense against water damage and flooding in your basement. If you notice moisture issues, the problem may lie with your sump pump. Our sump pump repair technicians in the Denver Tech Center area can diagnose the problem and get your sump pump back into action to protect your home. For only $99 (reg. price $199) we will send one of our clean cut, highly trained & qualified, drain cleaning technicians to your home in the DTC area and fix any issues you may be facing with drains or sewer line right the 1st time! We offer a full range of drain / sewer line cleaning, drain snake & sewer scope services for all residential Denver Tech Center plumbing customers. SWAN air conditioner technicians have the experience and knowledge necessary to diagnose and fix all types of air conditioner issues. We repair and install all brands of air conditioner systems to keep your home cool and comfortable. Does your air conditioner make strange or very loud noises during operation? Does it cycle on and off or fail to keep the home cool? There may be any number of issues, but you can count on our HVAC experts in the Denver Tech Center area to get to the bottom of the issue. Improper maintenance. An air conditioner that is not maintained correctly can develop serious issues and become damaged. It will also be less efficient and have a shorter lifespan. Electric control failure to the fan or compressor. This can cause the system to cycle on and off and it is usually caused by corrosion. Refrigerant leaks. A refrigerant leak is a common issue that should always be repaired by a licensed HVAC technician to avoid environmental damage and damage to your air conditioner. Drainage issues due to a clogged condensate drain which can lead to poor system performance, mold, and water damage. Thermostat sensor issues that can cause the air conditioner to cycle or fail to turn on. Regular maintenance is the single-most effective way to extend the life of your HVAC system and reduce your energy costs. Maintenance can also catch issues before they become more serious and result in a costly repair bill. SWAN offers a comprehensive 22-point inspection to ensure your AC system is ready for summer.